After 6 months work as a side project, the time has come to launch CodeAvengers.com. 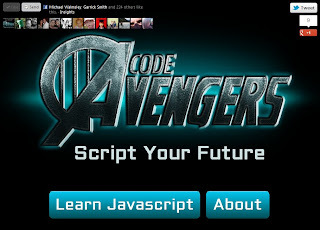 Try it NOW at CodeAvengers.com... or read on about what Code Avengers has to offer. 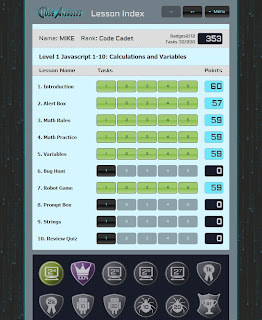 The Level 1 course, has 40 interactive lessons with 5 tasks in each. There are also points and badges to earn. And review quizzes that require you to zap the correct answers as they wizz around the screen. 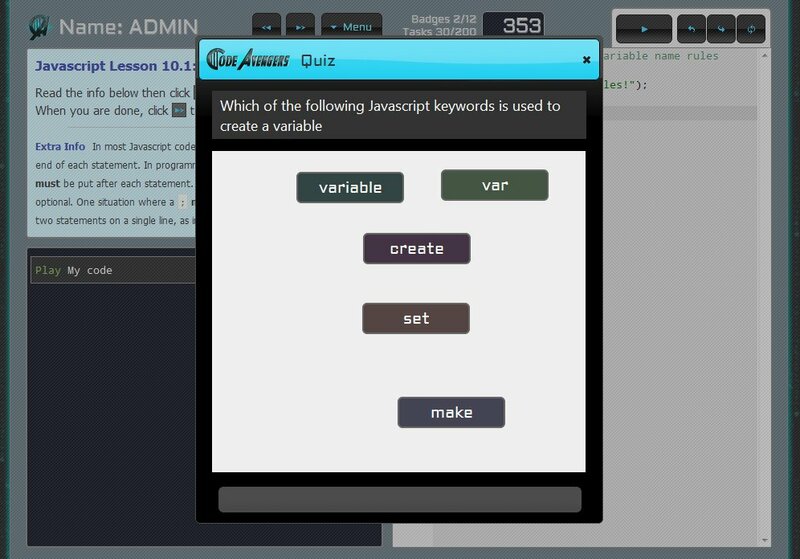 Variety is one of the keys to making Code Avengers as fun as possible. "This is great - best way to spend a few hours in ages"
"I really liked the idea of coding to do something, be it moving a robot or creating part of an application, rather than coding just for the sake of coding. It's certainly a lot easier to learn by doing than learn in the abstract. Thanks for the great site!" What are you waiting for? 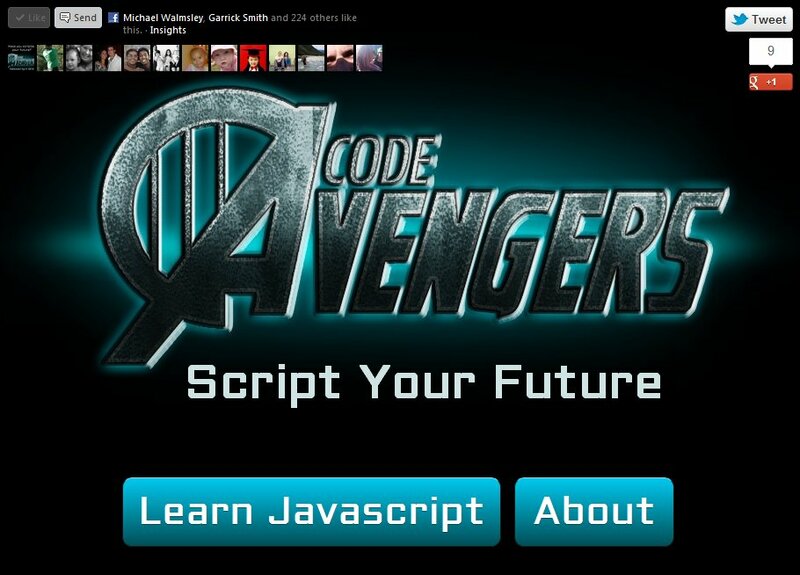 Script your future @ CodeAvengers.com! i am having problems in safari and chrome where a variable does not get a null value on cancel. also, there are problems with the robot game. in firefox there are issues with page transition. i am using a mac. Hey thanks so much for your feedback Mulhid! If you have time to give more details of your problems I would be really grateful! Which version of Chrome are you using?? In Chrome you should get a null value on Cancel. But in Safari you get an empty string on cancel. Which Safari version are you using? A message is supposed to appear on Safari to explain this too you. Did this message appear? 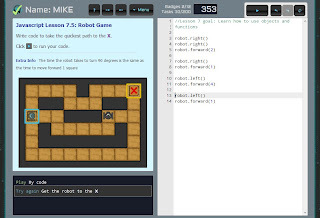 What problems did you have with the robot game? There were a couple little things I fixed recently with the robot game. Which Firefox version? And what were the issues?